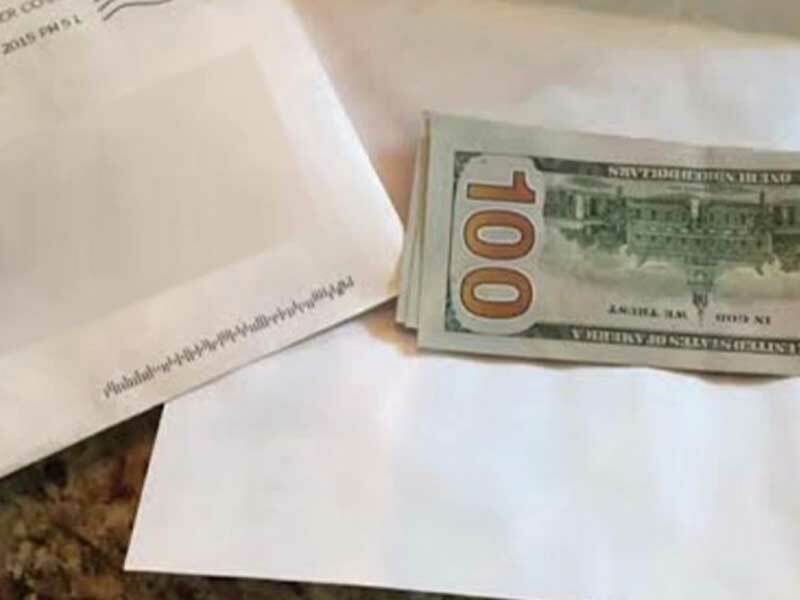 An attempted burglary near Washington Park in Denver, Colorado, ended with the remorseful thief leaving an apology letter and cash. Dave Keating got a call telling him that someone threw a propane tank through his back door. “Nothing was really stolen from the house, I think the alarm kind of scared them off,” said Keating of the case. A day later, he found an envelope containing $300 and an apology letter from the burglar. The letter said: “I'm so sorry. Was driving near your home when I felt a heart attack coming on. "Didn't have any medication and thought if I could find some aspirin quickly, I would survive. The alarm freaked me out and I left but thankfully made it back to my car and was able to get care. Again I am so sorry (and embarrassed). 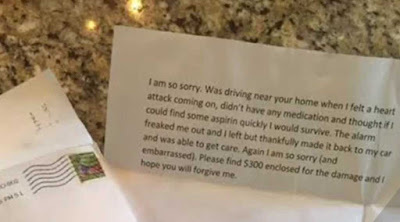 Please find $300 enclosed for the damage and I hope you will forgive me." Police were able to lift a fingerprint off the cash, but it didn’t lead to any hits in a national criminal database. The case is still considered an open investigation. As for the money, because it’s evidence, Keating will never get it back. Per the city’s evidence policy, it’ll eventually go into the city’s funds after a few years when the case is finally closed. Who's the real criminal in this case? So, you can now stop telling your kids that cops are their friends. Poor guy got his house broken into, then he got robbed.